Are You Unsatisfied in Your Relationship? Do you feel as though your partner doesn’t understand you? Have daily routines replaced time for meaningful connection? Do you feel lonely, unappreciated or neglected? Do you miss the days of romance and intimacy in your relationship? Do you long to feel deeply understood and valued again? Whether you have been with your partner for months or years, it can feel lonely or frustrating to be in a relationship that lacks balance and real connection. Maybe you feel as though you and your partner have lost the passion and connection you once shared and have slipped into “roommate status.” Careers, children, daily chores and other responsibilities can often weigh on a relationship. You might feel as though conversations with your partner lack spontaneity, revolving around topics such as scheduling and doing the dishes instead. Perhaps arguments have started to feel repetitive and out of control rather than constructive. Amid all of these daily obligations, maybe you wonder if your partner still loves and understands you. Sometimes it might feel as though there is no time to pause and truly listen to one another. Perhaps you long for those small displays of affection and intimacy throughout the day to make you feel special again. While it may seem that others can easily maintain exciting, romantic relationships, all couples experience ups and downs. Each relationship has its own complex journey. Once the “honeymoon phase” has ended, it is very common for couples to discount the amount of work required to sustain a healthy, loving relationship. While routine and daily rhythms can be an expression of intimacy, they can also quickly lead to a lack of connection with one another. It is not uncommon for couples to slip into patterns of negativity or to replace heartfelt communication with surface level interactions. Many individuals develop new needs and desires from their partner as they grow. Without working to sustain healthy communication skills, couples often find themselves growing apart and feeling misunderstood and lonely. Everyone deserves to feel fulfilled in his or her primary relationship. All human beings require regular and genuine moments of connection. With help, you and your partner can reestablish these moments of healthy intimacy in order to feel respected, loved and understood in your relationship. Couples counseling provides the outside perspective and wisdom that couples often need. I have a Master’s degree in counseling with a certificate in marriage and family therapy, and I have been passionate about working with couples since 2006. Through my practice, I can help you and your partner achieve the skills needed to reestablish your relationship’s strong foundation. I offer a deeply sensitive and compassionate environment to work with a diverse range of relationship challenges. In order to empower my clients, I provide a “toolbox” of strategies and skills. These tools include how to listen, how to engage, how to be a respectful and empathetic speaker, how to fight fair and many other techniques needed to maintain a healthy relationship. Together, we will develop ways to take better care of yourselves as well as each other in order to create a lasting intimacy. While every relationship is unique, the majority of couples can work through their challenges with couples counseling. Carving out this precious time for your relationship gives you and your partner the opportunity to slow down enough to truly listen. Both you and your partner can clear away negative patterns and mindsets, improve communication and reconnect emotionally. 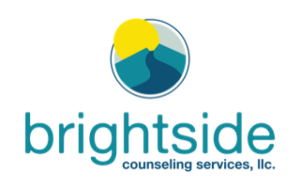 Counseling sessions provide a safe, supportive space to clarify your needs. As you learn more about yourselves as individuals, you will be able to establish new ways to express your love for one another. Although you may currently feel stuck or helpless in your relationship, with guided support you can create a stronger, more resilient and loving bond. Is couples counseling really worth the cost and time? While we spend large amounts of money on many aspects of our relationships, such as weddings, trips and other experiences, we often shy away from investing in daily maintenance for our relationship. Couples counseling is a profoundly positive step toward creating a strong relationship. Just as with physical ailments such as colds, taking the proactive steps to heal by seeking professional help – rather than waiting for things to grow worse – is essential to you and your partner’s health. Creating a weekly time budget for couples counseling sessions is just as important as allowing yourself enough time to get ready in the morning. Soon, the practice of couple counseling can become a regular and well-integrated part of your week. I also provide a wide range of weekly availability. I can accommodate a variety of work schedules with both morning and evening hours. I understand that couples counseling is a big investment of time and money, and I try to make this investment as easy as possible for you and your partner. What if my partner doesn’t make enough of an effort in counseling? While this is always a valid concern, you can only control yourself. By focusing on your own growth and self-care, you are already taking powerful steps toward nourishing your partner and your relationship. Additionally, we often don’t fully understand what another individual’s full efforts look like until we take the time to truly examine ourselves and engage in active listening with our partner. I’m worried about putting myself in such a vulnerable position in counseling sessions. Opening yourself to self-discovery and change certainly requires a lot of bravery. However, this state of vulnerability leaves you open to not only challenging emotions, but also to a much greater sense of happiness and fulfillment. I encourage my clients to trust that they are going to be taken care of and that they can achieve positive results through couples counseling. In offering your trust and vulnerability to your partner, you can look forward to the reward of a thriving relationship. Couples counseling offers a renewed sense of joy, peace and balance that can last long after your counseling sessions are complete. You and your partner deserve the professional wisdom and help to reestablish a loving, joyful connection. 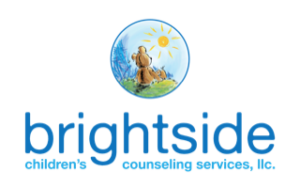 I invite you to take the next step by calling or emailing me at 303-353-9226 or edmonds@brightsidecounseling.net. We can set up a free 15-minute phone consultation in order to determine if couples counseling is a good fit for you and your partner.